The White Christmas Week brings together stores in Ikeja City Mall to give discounts and create a memorable shopping experience for shoppers. Shops within the mall will be required to give discounts provided shoppers purchase items worth N5, 000 and above from participating stores. They include: Redtag, Shoprite, Maybrands, Coldstone, Bheerhugz Café and more. Several brands will be present to carry out exhibitions at a designated spot at ICM car park and customers with evidence of purchase from participating shops will be rewarded. These include but not limited to freebies, raffle draws and more from participating stores. The climax of this event will be the “White Christmas Party” holding Friday 18 December 2015 from 5pm till midnight. This will happen at a designated area at the car park with live performances by artistes such as Niniola, Immaculate, Lil’ Kesh, Olamide, Chidinma, Phyno and a host of others. On Thursday evening 17 December, there will be a Christmas Carol from 6pm and Issac Geralds (former Project Fame West African Contestant) will take center stage, performing his own rendition of Christmas Carols alongside other groups. You will not want to miss out on this beautiful evening of nothing but breathtaking performances by all casts lined up for this year’s Carol. 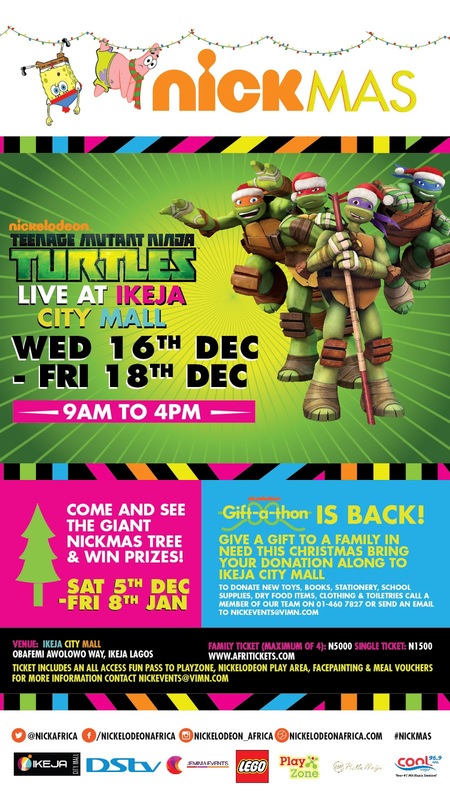 The popular Teenage Mutant Ninja Turtles will be showing for the very first time in Nigeria this December when they perform live at the ICM Car Park during the White Christmas Week (16 to 18 December, 2015). The meet and greet sessions will follow in the weekend (19 & 20 December) at Atrium one in front of MRP. As with the spirit of Christmas, children get frebbies for attending the show. Gifts will include items donated by partners and participating stores. This event is in collaboration with Nickelodeon and Lego. Also, don’t forget to take a selfie with the huge Nickmas tree at ICM with these hashtags #nickmas #nickmasinicm and upload on your social media handles.You stand to win gifts and prizes. 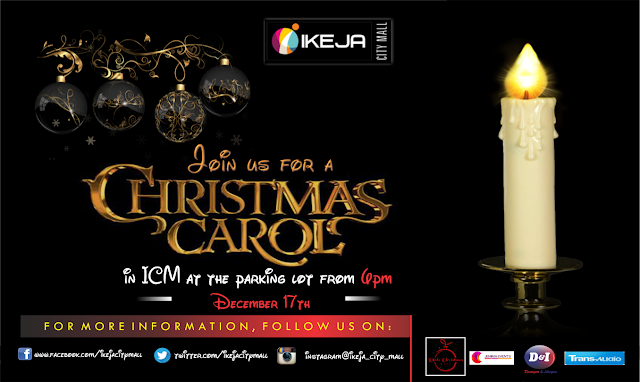 So parents, guardians, ICM is the place to be this yuletide season. The White Christmas Week was put together by Ikeja City Mall, Nickelodeon, Jemima Events and MTV Base. This event is supported by Lego, DSTV, Cool FM, City FM and Playzone. I am so glad to know about this White Christmas Week in ICM. Thanks for this post. I also attended such a grand Christmas event at some local party venue New York. You know I had celebrated Christmas after a long time with my family so I was eagerly waiting for the holy day.